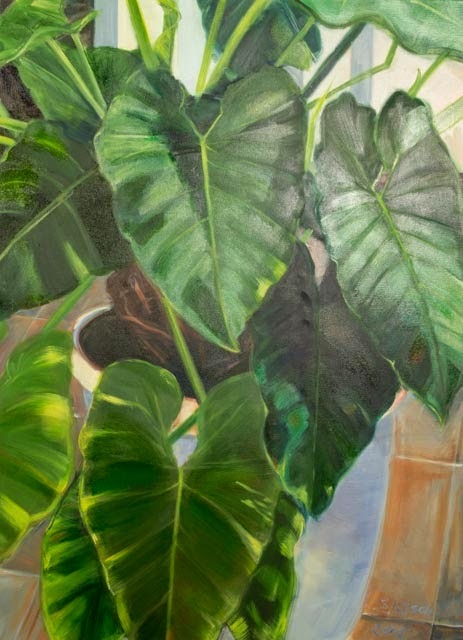 These paintings were inspired by a giant philodendron growing in a large pot at Rosedon Hotel in Bermuda. 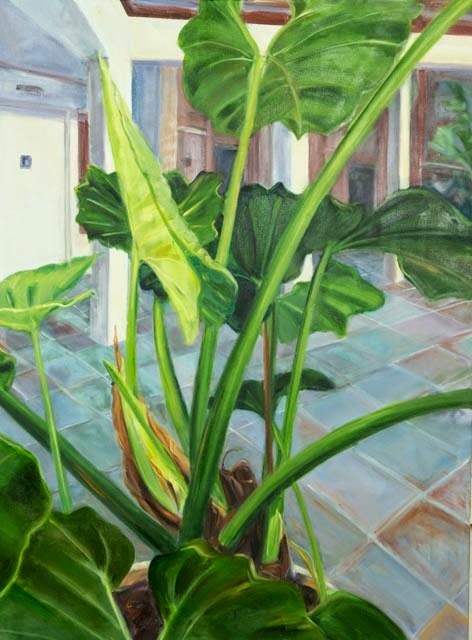 Each panel is 4'X3' I was drawn to the contrasting architectural elements of the cool tiles and doorways with the massive organic tropical growth. Within the huge plant there are many layers and stages of growth happening at the same time. 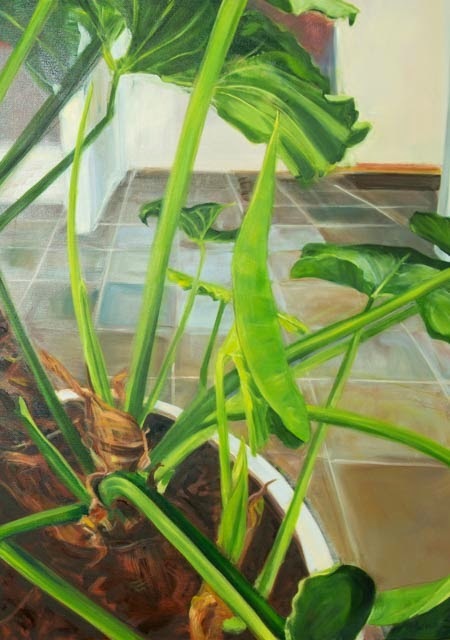 Recently I've identified my Bermuda flora paintings as "plantscapes of the lifecyle!"